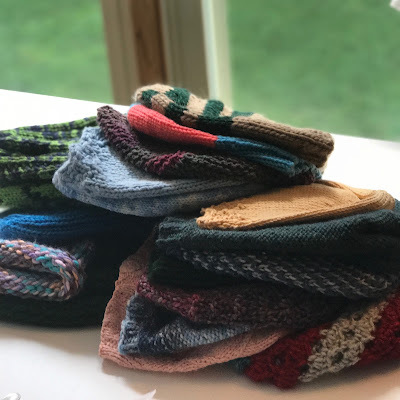 Knitting Like Crazy: The Pile - It's Growing! The Pile - It's Growing! There's still time to add to the pile and help a nearby cancer center with their chemo cap needs. You can find all the details in my Ravelry group!